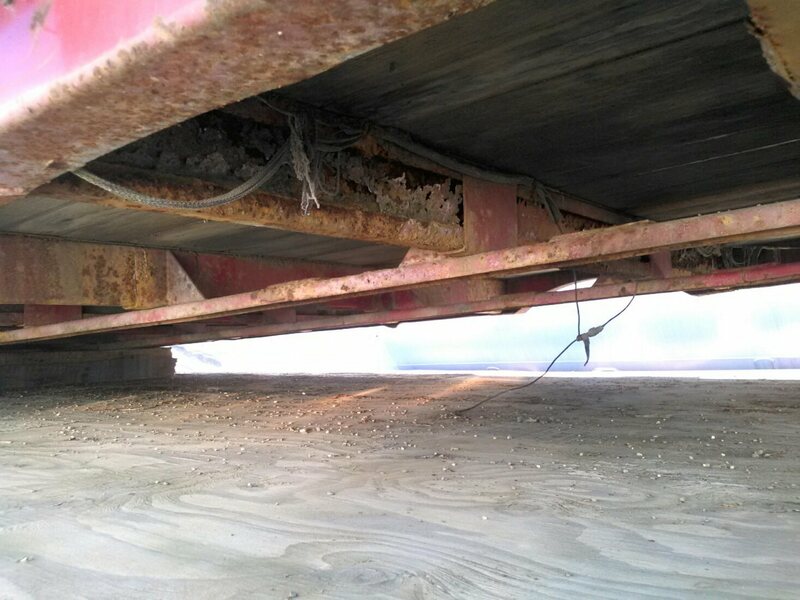 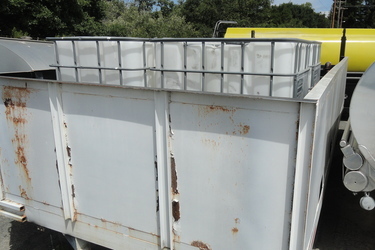 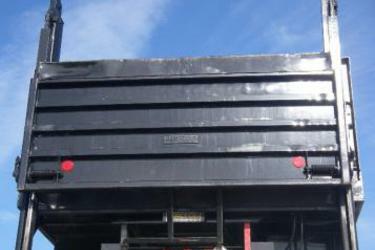 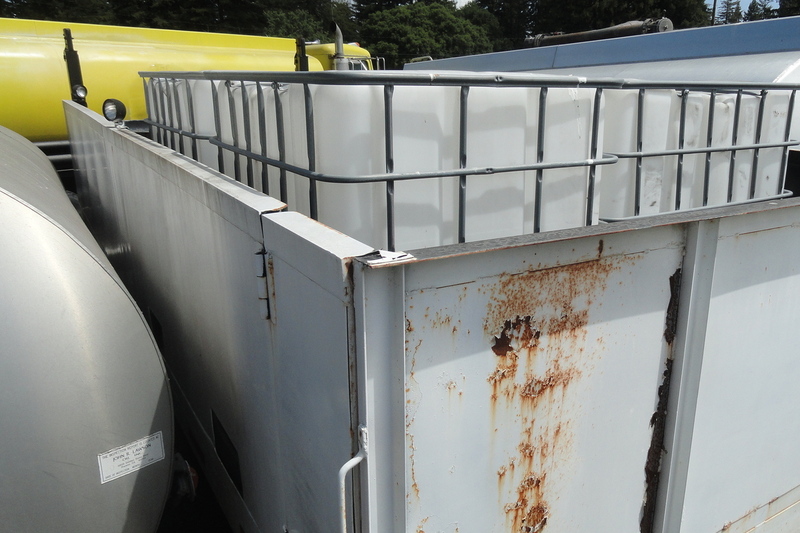 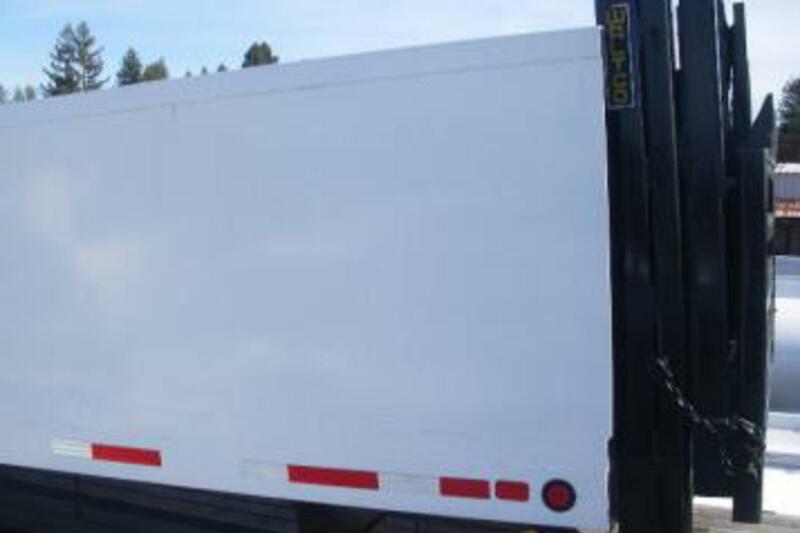 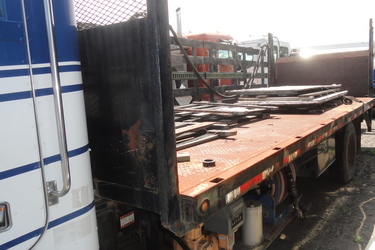 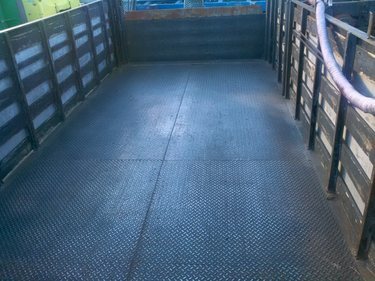 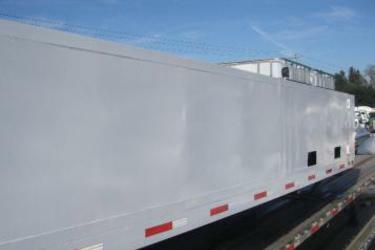 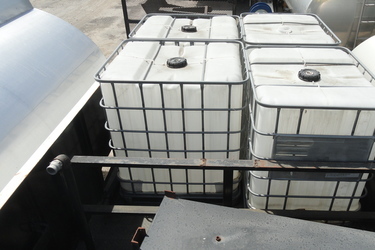 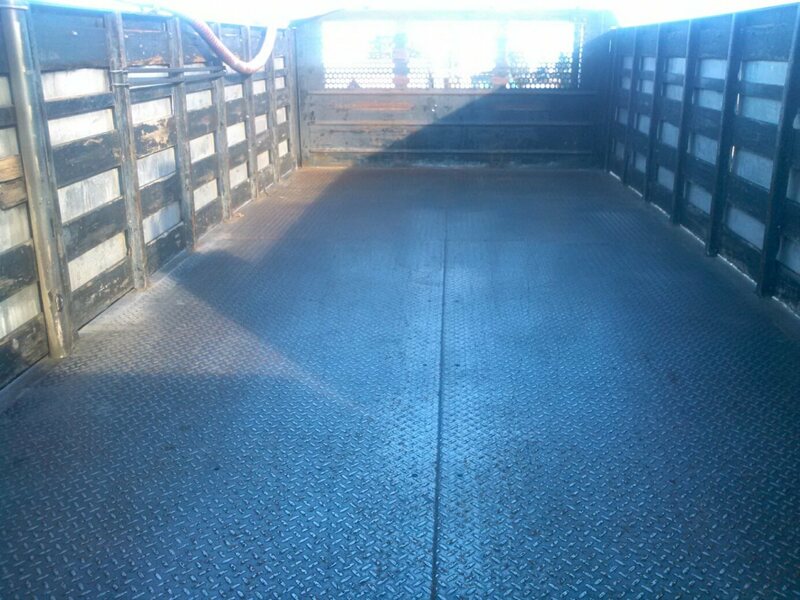 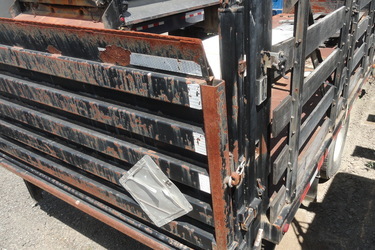 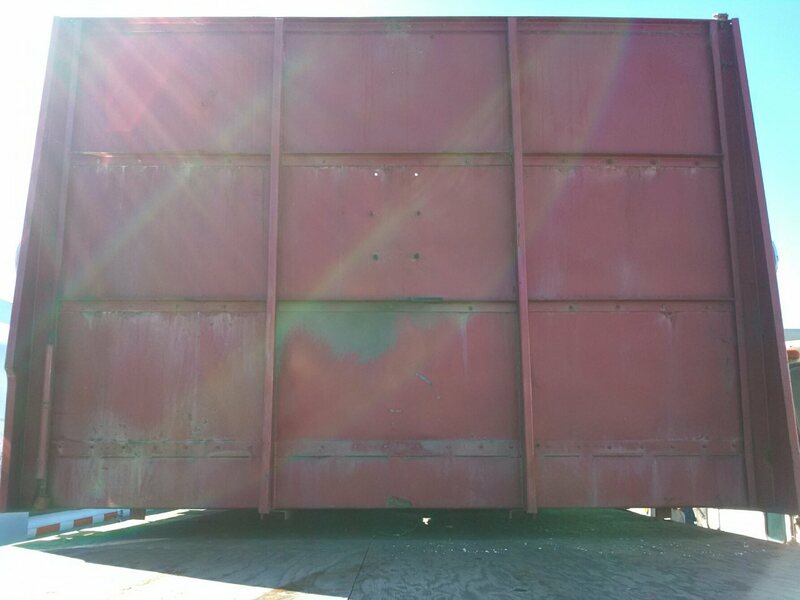 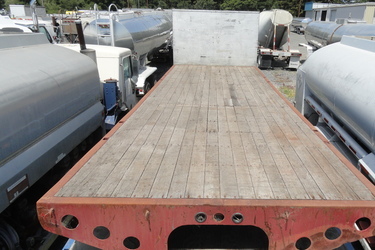 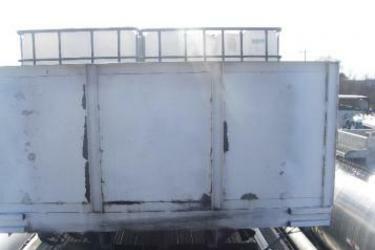 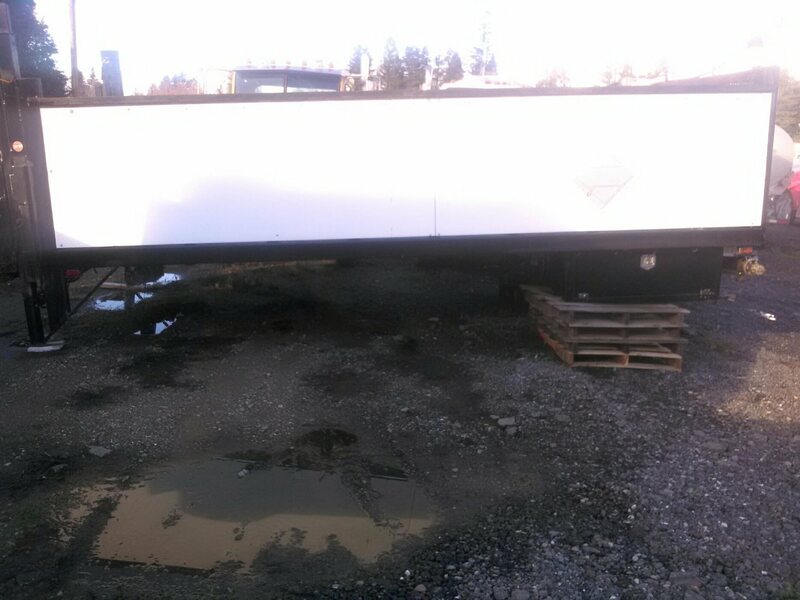 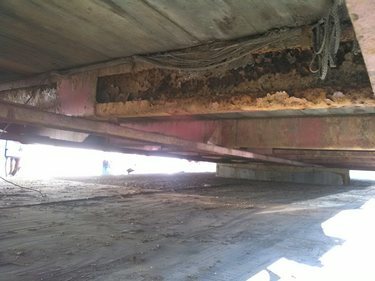 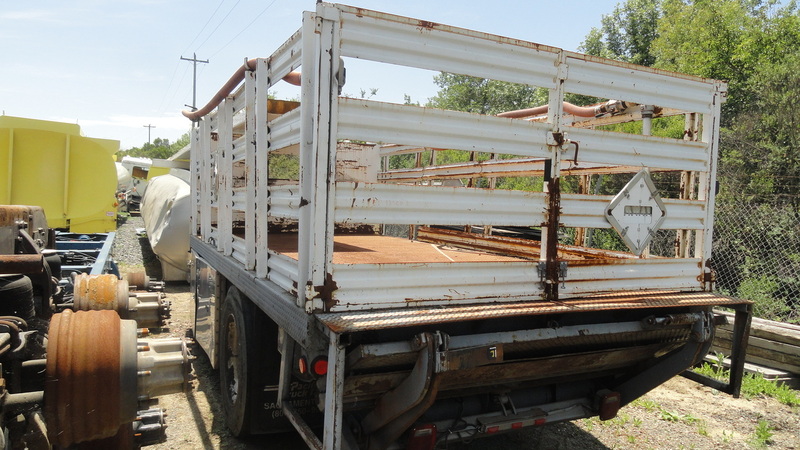 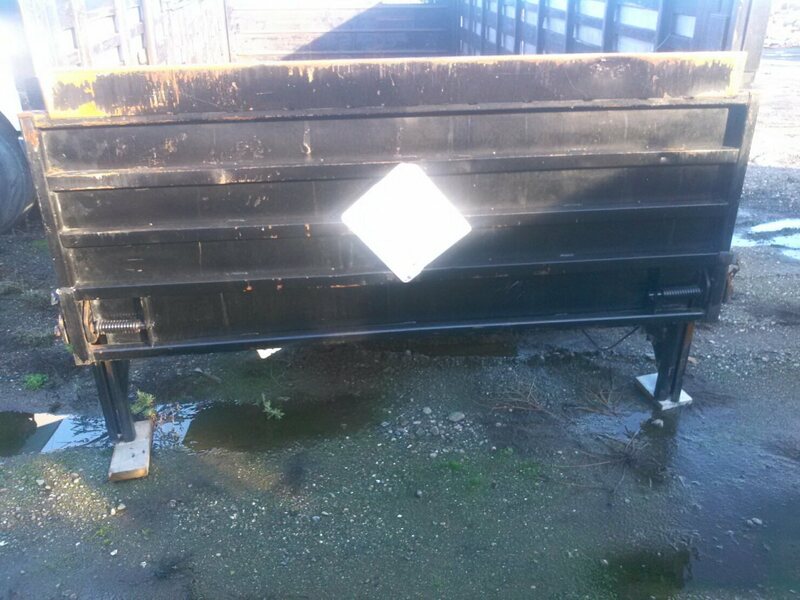 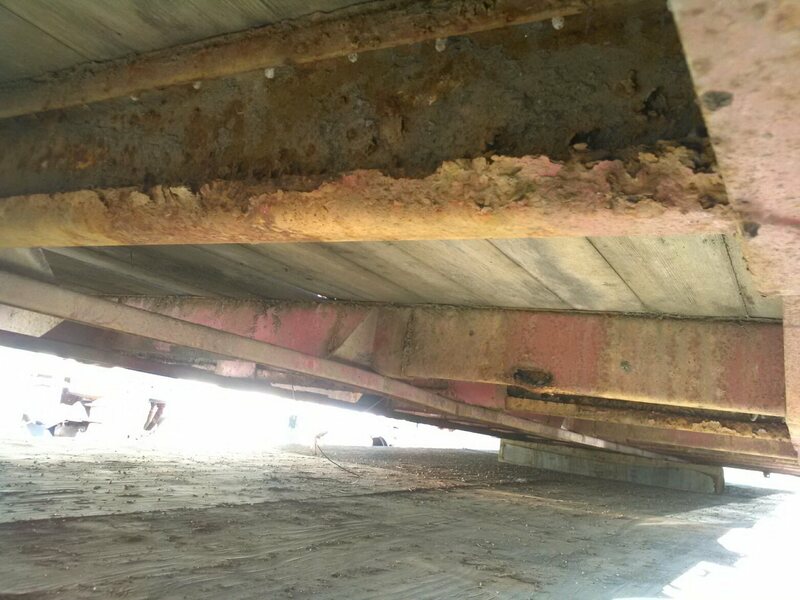 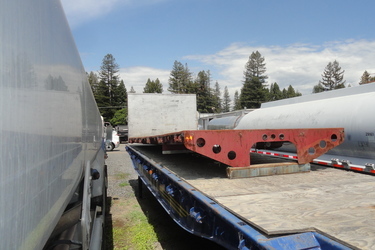 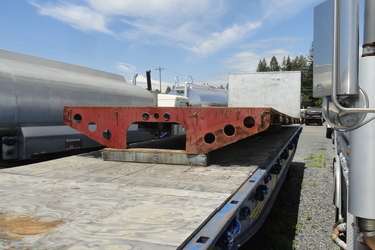 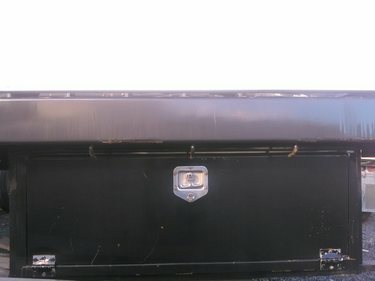 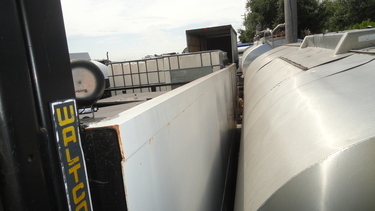 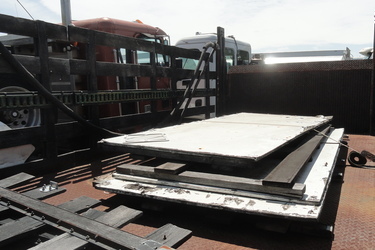 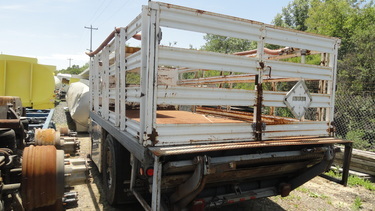 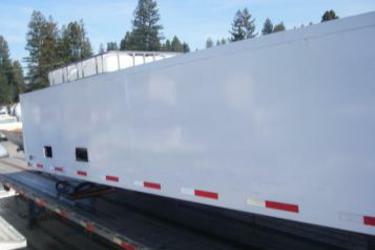 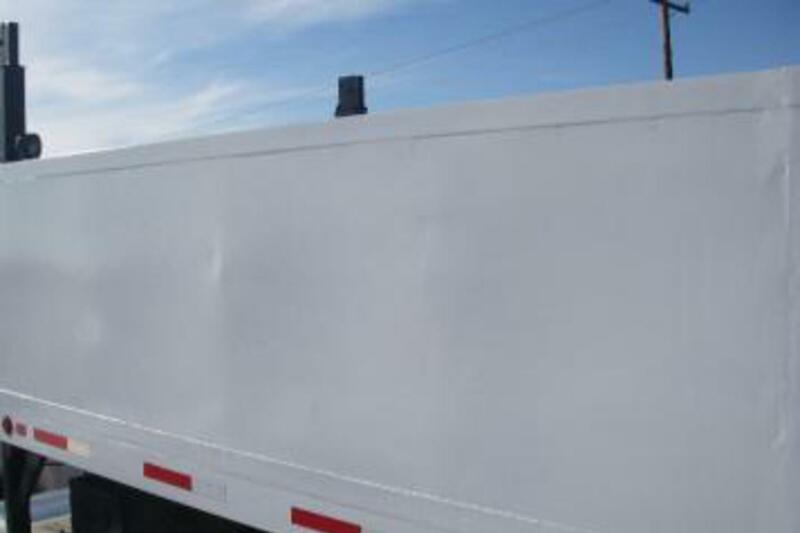 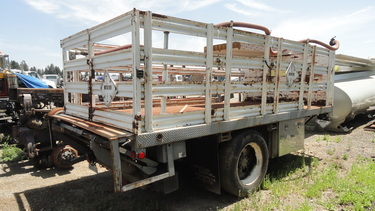 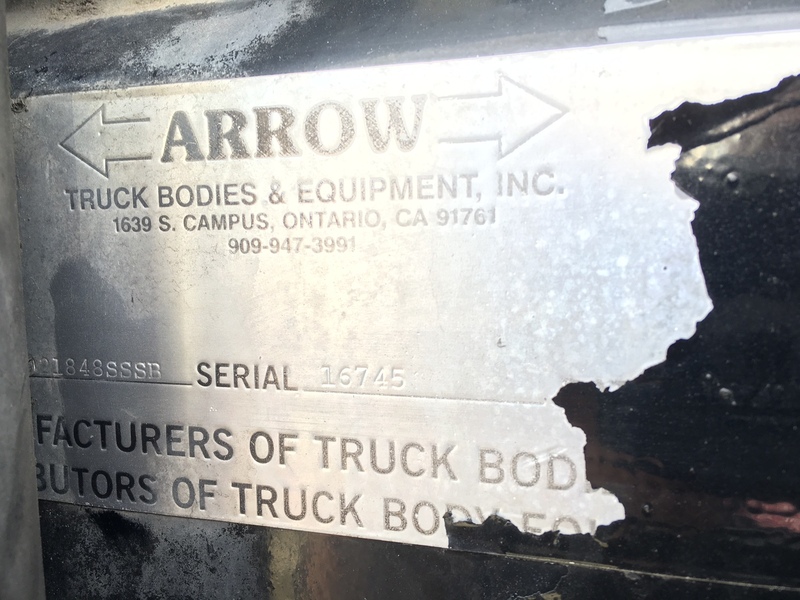 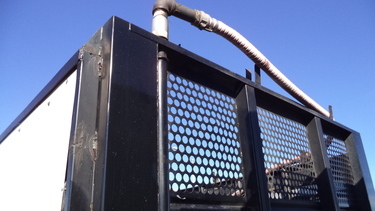 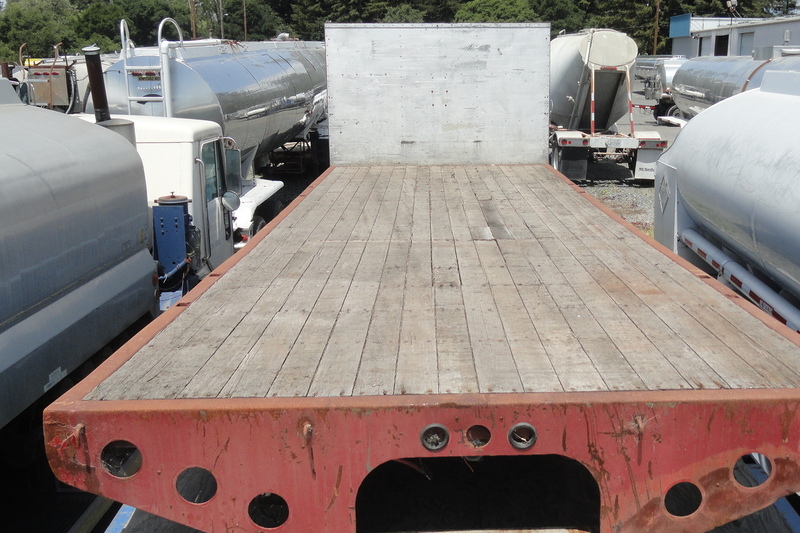 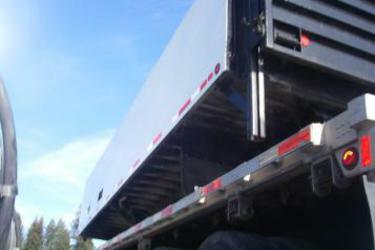 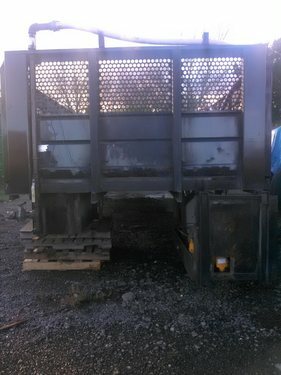 22' x 102'' steel flatbed (mfg. 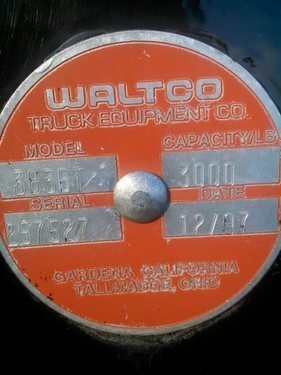 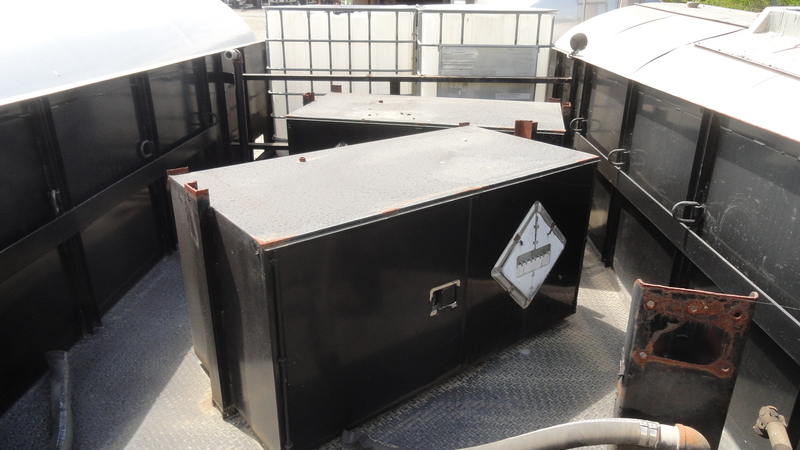 12-2003) 12'' on center cross-members, non removable steel sides, Waltco 3000lb rail lift gate, 4 plastic totes plumbed directly to pump box (2 plumbed to right hand box ....2 plumbed to left hand box), 1 suction stub for drums plumbed directly to left box. 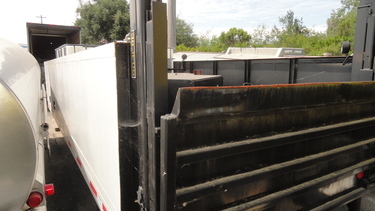 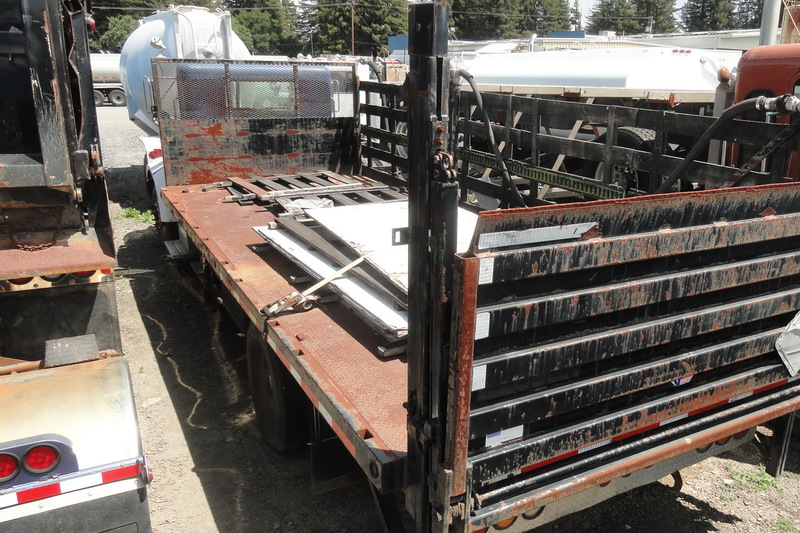 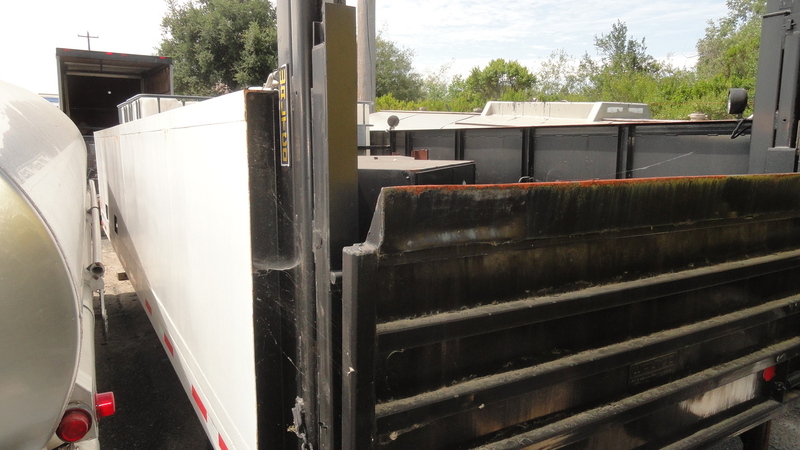 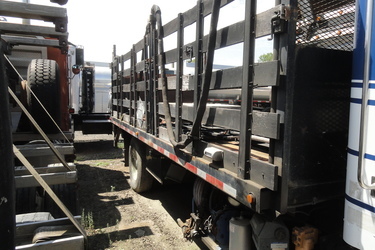 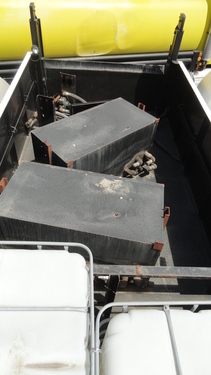 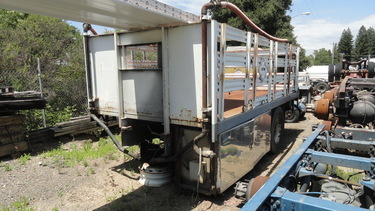 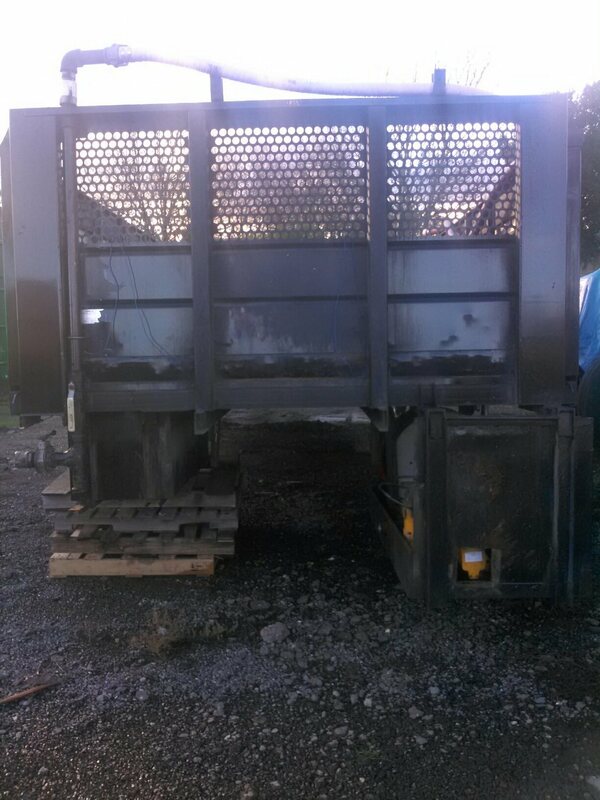 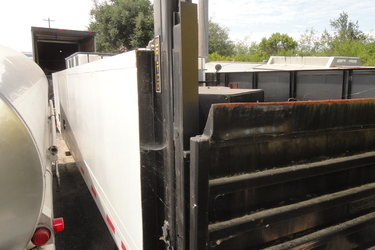 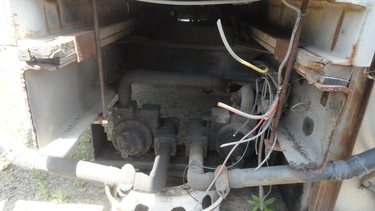 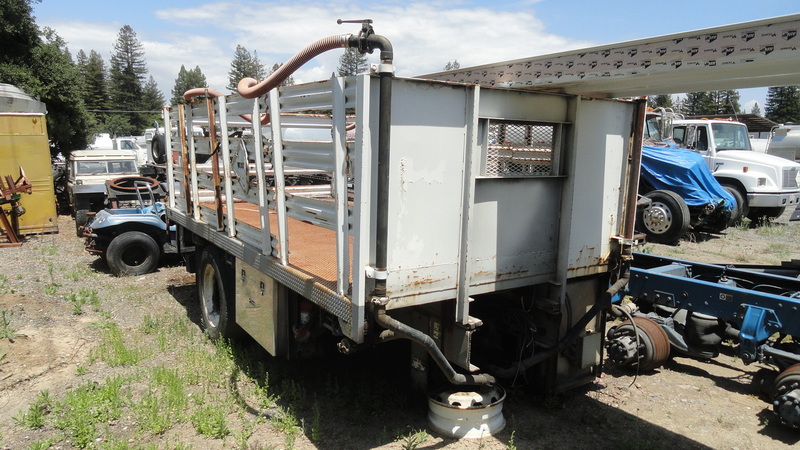 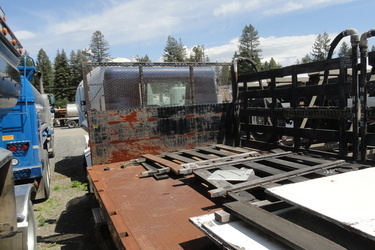 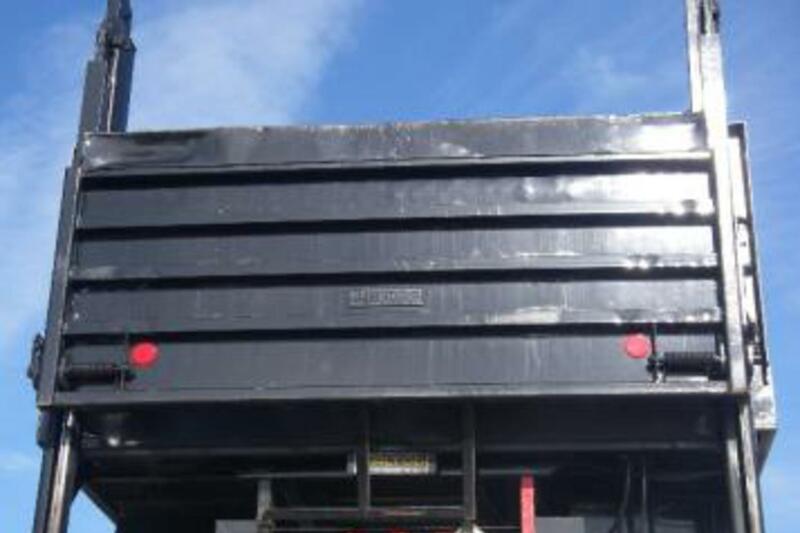 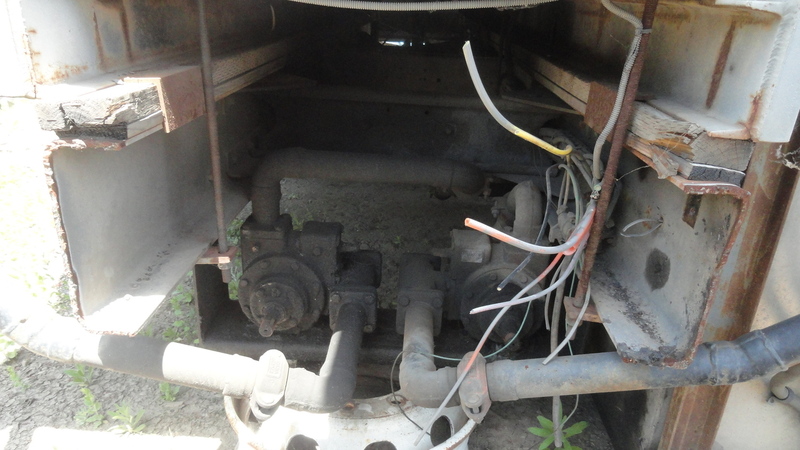 21' diamond-plate steel flatbed with approx 48"high stake sides, expanded steel headboard, rail lift gate. 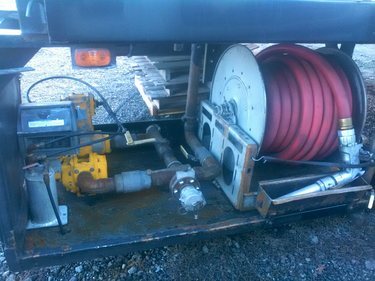 PTO-driven Blackmer product pump w / strainer, Liquid Control M-7 meter with Veeder-Root large numeral head and ticket printer, electric rewind hose reel w / approx. 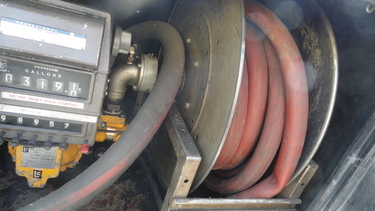 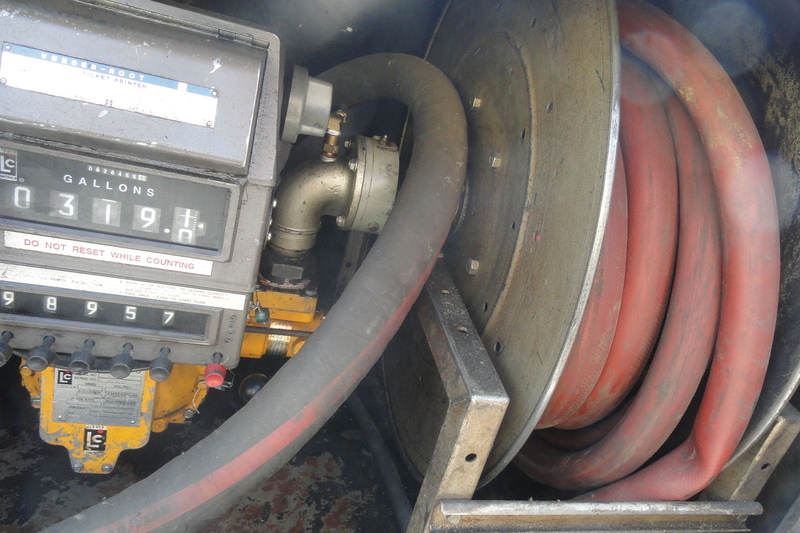 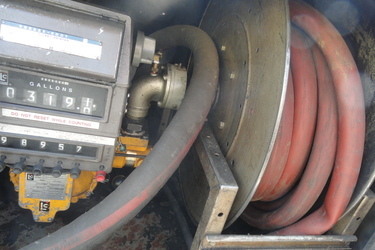 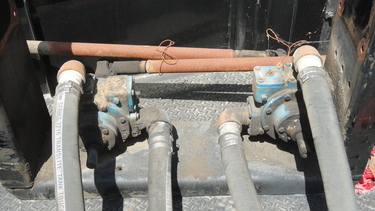 50' of 1.5" hose and OPW nozzle. 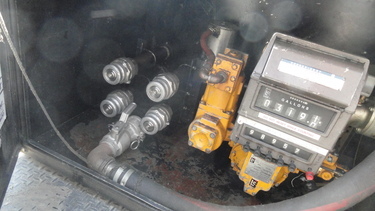 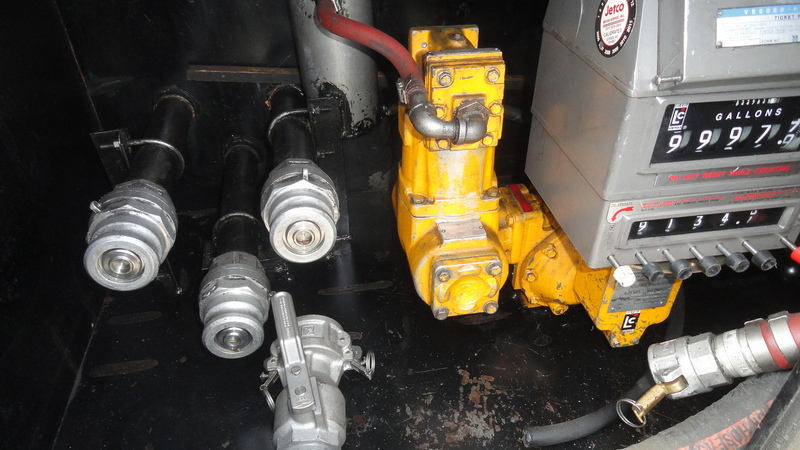 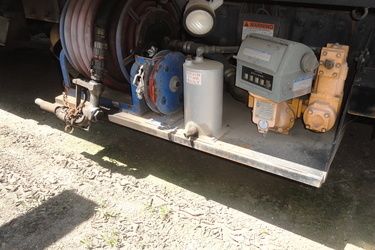 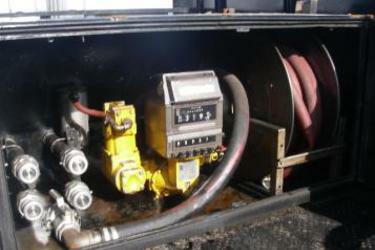 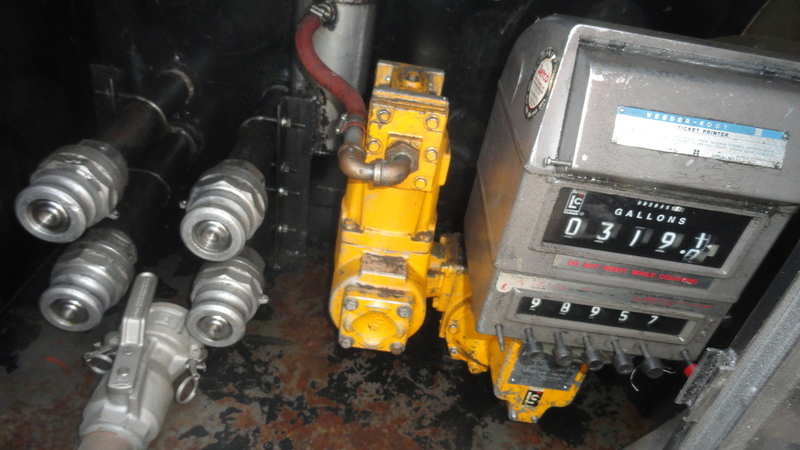 PTO-driven Blackmer product pump w/ strainer, Liquid Controls M-7 meter with Veede- Root large numeral head and ticket printer, electric rewind hose reel w/ approx. 50' of 1.5'' hose, OPW nozzle and ground wire.